Towebs Review 2019: Is Towebs a Good Hosting? Argentinian web host Towebs does their best to brand themselves as a user-friendly service, but their connectivity problems, slow server speeds, and largely unresponsive support make them less than ideal for novices. Based in Argentina and serving a predominantly Spanish-speaking customer base both in South and North America, Towebs not only offers web hosting services but also a premium website builder. Established in 1999, the company now hosts over 65,000 websites for customers spread over 23 different countries around the world. If you’re planning on launching an e-commerce store, their unlimited cloud hosting plan is your best option. This features SSD storage and unlimited MySQL databases in addition to several pre-installed e-commerce applications, so you can begin to build your online store right out of the box. However, if you’re a beginner lacking the technical know-how to build a website, you may want to take a look at their website builder package. This includes over 150 ready-made and fully-responsive templates. On top of that, their social media integration and email marketing apps ensure you can manage all aspects of your website without hiring professional help. Servers at Towebs are monitored daily for malicious software. There are also SSL certificates on offer that you can use to secure your website further — sadly, these aren’t free. There were two red flags that stuck out for me. The first is that while Towebs advertises 99.9% uptime, there doesn’t seem to be an SLA to back this up. This concerns me because users have reported downtimes whenever Towebs performs maintenance, and are generally unresponsive to customer queries on these occasions. Furthermore, they don’t provide automatic backups, so you’ll have to make it a point to manually backup your website on a regular basis. Towebs only has three packages, so they keep their pricing schemes pretty straightforward. You can either pay monthly or annually (quarterly or annually in the case of the Mini Web Hosting plan). The annual plan will get you a slight discount. But to maximize your investment, your best bet is to sign up for automatic debt with a credit card — this will net you a huge discount, at least for the first six months. After the Argentinian peso was devalued against the U.S. dollar over a decade ago, Towebs switched to listing their prices in pesos in order to make their packages more affordable for their customers. Overall, they’re reasonably priced, albeit a bit on the expensive side for the Argentinian market. That said, considering the poor user feedback I’ve seen, their service might not be worth it and may even end up costing you way more than you thought. If you’re a novice, you might prefer going somewhere else where you are guaranteed smooth performance for the same amount of money. They do have a ten-day money back guarantee, but this is too little time for you to notice issues with the service. As for their support: I was immediately greeted by a popup live chat when I entered their website. That was slightly irritating, but still something I can live with. The chat agent initially greeted me in Spanish, but switched to English at my request. He was friendly, helpful, and answered all my queries immediately. They also have a telephone number, ticket system, and Facebook page you can reach them at. Towebs is an adequate hosting provider for users in the Argentinian web hosting space. However, larger businesses that require fast server speeds and excellent uptime backed by a SLA would be well-advised to look elsewhere. 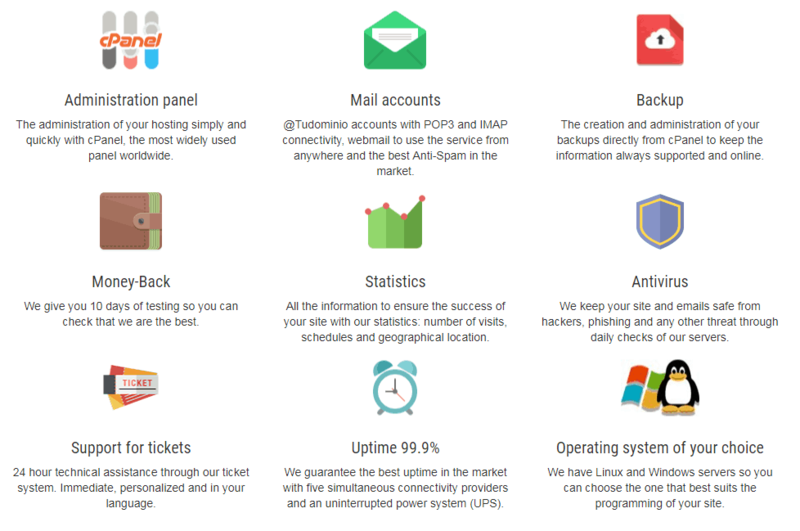 Wondering how Towebs stacks up against other Web Hosting companies? Enter any other Web Hosting company and we will give you a side-by-side comparison.